Have you been ignoring your roof? There’s no reason to feel ashamed if the answer is “yes” – it often drops to the bottom of a home maintenance checklist. But a pressure washing service is one of the best ways that you can preserve your roofing for up to a decade longer. To put it another way, this means you’re saving yourself a 5-digit expense and getting better curb appeal in the process. 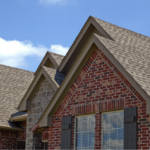 Here are a few surefire signs that your roof is in need of professional care. If you see any of these indicators, give our professionals a call. We’re on it! Unfortunately for our roofs, moss feels right at home in our temperate climate. We use a low pressure washing solution to remove the existing growth and prevent it from coming back in the future. Often referred to as “zebra stripes,” these streaks take over your roof in the form of vertical, dark lines. They’re caused by mold and they can do a number on your curb appeal. Even worse: They compromise the quality of your roofing, as they eat away at your shingles. Sometimes, your roof isn’t riddled with black streaks, and they don’t have moss. It just looks dirty. A low pressure washing solution is the best way to revive the curb appeal of your roofing and bring a longer lifetime to each and every shingle. A clean roof doesn’t just help your property’s first impression – it also keeps your homeowners insurance within compliance. 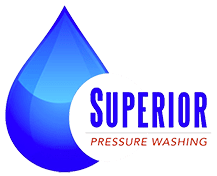 With an annual low pressure washing service from Superior Pressure Washing, you’re getting a beautiful property, cost savings, and quality that really counts.